The fight against an ancient scourge shifts to new battlegrounds. 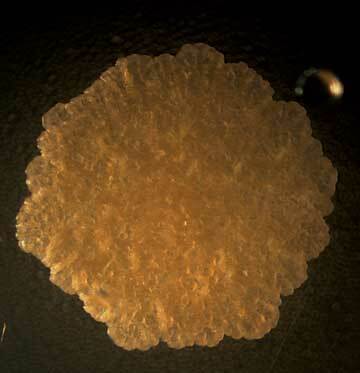 Mycobacteria form greasy, fatty-looking colonies. Their thick lipid coatings may play a role in allowing them to survive an onslught of antibiotics. There is a tenacious little bug that infects one in three people worldwide, hiding within their immune cells. Other microbes use the same strategy to evade detection, but this one is unusual because most of the two billion people who carry it don’t even know it—and never will. One in 10 carriers, however, will get sick, and require months or years of persistent treatment with simultaneous doses of multiple antibiotics to be cured. A like number will appear healthy until, decades later, they suddenly fall ill of a long-latent and potentially fatal disease. Scientists who study the bacterium can’t answer even the most basic biological questions about its life cycle—where does it hide for so long? why is it so hard to eradicate?—even though it has killed more people in human history than any other disease by far: one billion in the last century; two million last year. The microbe is Mycobacterium tuberculosis—TB for short—and it has, in the last 15 years, become increasingly resistant to antibiotics. TB’s resurgence as a serious threat to global health has brought together professors from Harvard’s public-health, medical, and business schools to tackle the disease. Since the 1998 appointment of Barry Bloom, himself a TB researcher, as dean of the Harvard School of Public Health (HSPH; see page 64), the University has assembled a deep bench of research scientists focused on the bacterium. And in the field, Harvard works with Partners in Health (PIH), a nonprofit founded to bring Western medicine to partner organizations caring for the world’s poor; PIH offers clinical expertise in treatment strategies that have proven effective in even the most difficult circumstances. Yet TB presents a host of unsolved problems, ranging from the lack of a basic understanding of the bug’s biology, to the absence of a simple way to diagnose infection, to the frustrating pace of vaccine and drug development, to complexities of clinical treatment. To make matters worse, TB synergizes with HIV wherever the two meet: each disease makes its carriers more susceptible to the ravages of the other. The impossibility of treating the two separately has underscored the need for a new way of thinking about the organization and delivery of global healthcare interventions. In the United States, TB is often thought of as a nineteenth-century disease. Known then as consumption, in its pulmonary form it led to cavities in the lungs, weight loss, and slow death in 50 percent of cases. But TB can also infect the skin, bones, and other parts of the body. The hunchback of Notre Dame probably had tuberculosis of the spine. Today, in parts of the world where HIV is prevalent and antibiotics in short supply, the TB mortality rate and the rate at which it awakens from dormancy are soaring, while the number of drugs still effective against it is shrinking. In parts of the former Soviet Union, for example, drug-resistant strains now represent about 20 percent of all new cases. Transmitted by the simple act of breathing, TB is a social disease whose spread is closely linked to the conditions in which people live and work. “It was the HIV of the 1600s,” says Eric Rubin, an HSPH associate professor of immunology and infectious diseases. Poor ventilation, malnutrition, and cramped living and sleeping quarters aid in its transmission. The Industrial Revolution’s factories, teeming with workers, brought unprecedented levels of urban density, creating ideal conditions for TB’s spread. That pattern is being repeated in different parts of the world today: epidemics rage in China and India. Sunlight can kill the bacteria, making open-air transmission rare. But TB spreads quickly in darkened mines, prisons, and even hospitals without proper infection control. Recent research, on which Bloom collaborated with Robert Modlin of UCLA, suggests that lack of sunlight may also compromise the host immune system’s antimicrobial capabilities. Vitamin D, produced when sunlight hits the skin, appears to be a vital link in a chain that promotes secretion of cathelicidin, a powerful microbicide that may prevent TB infection by increasing a person’s innate immunity. Lab studies have shown that dark skin pigmentation absorbs ultraviolet light and thus lowers Vitamin D production below the critical threshold level necessary to produce cathelicidin. HIV makes people more vulnerable to TB infection. The origins of an epidemic that struck New York City in the late 1980s and early 1990s have been linked not only to increasing rates of HIV infection in the prior decade, but to fires. One study showed that as fire stations were closed, surrounding neighborhoods began to fall into disrepair. An advancing “fireline” that discouraged reinvestment by landlords in these neighborhoods led to the destruction of 150,000 to 200,000 housing units. The consequence was a “vast internal migration”—about 600,000 people over a five-year period—to adjacent neighborhoods. The overcrowding that ensued made the city fertile ground for an epidemic. By the time the outbreak ended in the mid 1990s, the cost to control it had exceeded $1 billion. The average carrier infects 20 other people over the course of a lifetime, which suggests that the risk of transmission at any particular moment is low. But TB can be highly contagious—inhaling a single bacterium is enough to cause infection. In a carefully documented case in the United States, a young man passed the disease widely and rapidly to even the most casual of contacts: co-workers, people who had a meal with him, and even a person who stood near him for a few minutes at a bus stop. The symptoms at first are easy to ignore. A cough may be the only early sign of active pulmonary disease. Victims often experience fever, night sweats, and loss of appetite that eventually leads to weight loss. They may cough blood and grow fatigued easily, but in some countries, because of the social stigma associated with the disease, they may successfully hide their symptoms. In a quarter of cases, TB spreads from the lungs to infect other parts of the body, causing illnesses like scrofula, characterized by weeping sores of the neck, or Pott’s disease, which causes a humpback. Treatment, meanwhile, is prolonged, and some of the drugs, particularly those used to treat resistant cases, are not tolerated well. Kidney failure, depression, and psychosis are among the most debilitating side effects. Simply doing TB research is difficult as well, because there are few good animal models of the disease. Researchers can infect mice, but the disease takes a different course than it does in humans. Only macaques, which cost $20,000 each, develop latent infection. And although cows get TB (the existing vaccine is based on Mycobacterium bovis), genetic studies indicate the bovine strain was contracted from humans thousands of years ago, not the other way around. In fact, it appears that Homo sapiens is the animal reservoir of the disease—which makes it harder to study in vivo. Fortunately, in vitro analysis is thriving. Several Harvard labs are engaged in efforts to identify key components of TB’s genetic makeup that could be targets for vaccines or drugs. Eric Rubin is working to establish which genes are critical to TB’s survival— he estimates the number at about 800, any one of which could become the target of drugs. He has also discovered that a protein called resuscitation promoting factor, once thought to be a signal that woke TB from latency, is in fact involved in breaking down and making a new cell wall for the bug when it replicates. These cell walls are a little unusual, he says. “The bacteria are covered by this huge, greasy coat—they’re disgusting, and nothing can get in.” Colonies of Mycobacterium smegmatis, a related mycobacterium, share this trait: in a petri dish they resemble lumps of fat—and smell like Limburger cheese. “There may be a clue here,” says Rubin. Although a thick lipid coating can’t confer antibiotic resistance (only a genetic mutation can do that), it may increase the bacteria’s tolerance—“meaning that for a certain amount of time, they’re not killed by antibiotics, because you have to get drugs into the cell through that waxy coat.” Rubin’s lab has recently been able to demonstrate that such tolerance seems to originate in a subpopulation of the bacteria. If scientists better understood the permeability of the cell wall, their drugs might be made more effective at killing the bacteria. “Nobody knows exactly how drugs get into a cell,” Rubin notes. But his colleague and collaborator Deborah Hung, an assistant professor of microbiology and molecular genetics at Harvard Medical School (HMS) and a core member of the Broad Institute (a genomics research center), has been trying to define the rules that determine how small molecules (drugs) enter cells. Taking a chemical biological approach to many of the same questions that Rubin studies, Hung has been testing a range of ideas. Because the mathematical assumptions underlying mutation and selection don’t seem to explain TB’s rapid acquisition of drug resistance (see “An Evasive Bacterium,” page 41), Hung wonders if those assumptions are wrong. Maybe the bacteria mutate at a much higher rate in a host—where there are all kinds of pressures, from drugs or the immune system to lack of food or oxygen—than in a Petri dish. In humans who have been infected but whose immune systems successfully control TB, the bacteria are walled off in tiny nodules in the lungs called granulomas. Research has shown that little if any oxygen gets inside. Mimicking the hypoxic conditions inside a granuloma, Hung has demonstrated such “hypermutability” in one species of Mycobacterium in low-oxygen environments. That, in concert with the protection bestowed by a thick lipid coating, might buy this group of bugs time enough to develop true genetic resistance to antibiotics. While Rubin searches for genetic controls that might switch such hypermutability on and off, Hung takes an opposite, but complementary, path: she tests libraries of drugs seeking chemical compounds that will affect mutation rates. “Then we can use that,” she says, “to dig into regulatory pathways and mechanisms” that determine the TB organism’s success and life cycle. Failure to recognize TB’s growing drug resistance was a hallmark of doomed global efforts to control the disease in the 1990s, and helped fuel the epidemics now raging in China, India, Russia, and Africa (see map of prevalence, page 40). In 1993, the World Health Organization (WHO) began advocating a new strategy for controlling TB worldwide—directly observed therapy-short course, or DOTS—which cut the time required for treatment from one to two years to six to nine months, and mandated that healthcare workers observe patients taking their medicines. By and large, the program’s results were excellent. “This was a good thing to promote,” Murray says, “but it didn’t identify or treat people with drug-resistant (DR) TB.” Simplicity was an underpinning of the DOTS approach, and treating DR TB was thought to be too complicated and expensive, if not impossible. But the architects of DOTS had little reason to worry: the dogma was that any genetic change that caused drug resistance would also make the organism less fit and unable to propagate. “The policy argument was that drug-resistant TB might kill people, but it didn’t spread well,” Murray says. The first contrary evidence appeared the very same year, when then-HMS junior faculty members Jim Yong Kim and Paul Farmer, the leaders of Partners in Health, were working on a small childhood-nutrition project in Peru, hoping to expand PIH’s impact beyond its original base in Haiti. The two went at the invitation of a friend, a Catholic priest who had moved to Lima from Roxbury. When he fell ill, they sent him to Boston for treatment, where he died of what turned out to be a drug-resistant strain of tuberculosis. At the time, drug-resistant tuberculosis was considered too difficult and too expensive to cure in resource-limited settings. Kim and Farmer’s answer was to increase the pool of resources by making sure the whole world knew what was happening in Peru. They also developed lower-cost treatment protocols, using mostly community-health workers and nurses, and in their first cohort of 45 patients, achieved a cure rate of more than 80 percent. When they presented their results at the American Academy of Arts and Sciences in 1998, WHO leaders were astounded, and soon adopted a new policy dubbed “DOTS plus” that allowed for treatment of MDR TB. Yet even as their efforts in Peru were rewarded, a new disaster loomed. In a 2000 report funded by the Soros Foundation, PIH predicted that the problem of drug-resistant tuberculosis was going to explode in two places: “South Africa, where TB and HIV were coming together,” Kim recalls, and in the former Soviet Union, “where there were huge prison populations, the health systems had been destroyed, and there was a long history of using single drugs” for treatment. Still, there were some who argued that DR strains would never become a big problem. Eight years later, the development of clusters of new cases indicating active transmission of rampant drug-resistant disease in both places has essentially settled the matter, and genetic work has confirmed that they do maintain fitness: after a mutation confers drug resistance, some of the resulting strains remain fully capable of reproducing and infecting new patients, while others are enfeebled. The fit strains survive and soon grow to become a significant proportion of cases in a population. At the molecular level, the bugs that acquire mutations conferring drug-resistance are weakened at first. They languish and fail to divide and reproduce as well as normal strains. But these sacrifices in function don’t appear to last long. Within a few bacterial generations, compensatory mutations at other locations in the genome rescue the bug and restore its vigor. Megan Murray, with the support of HMS professor of systems biology Eric Lander, director of the Broad Institute, and a team of Broad scientists, has been sequencing some of these drug-resistant strains to ascertain what makes them hard to kill. In the meantime, stopping the spread of resistant strains will require great care. “Ultimately, what drug-resistant TB and HIV are going to force us to do is develop a new field,” says Kim. “[Present] treatment is just too complicated.” Patient care must be coordinated among doctors and across institutions, he believes, in order to achieve the same kind of professionalism in the field of delivery as exists already in research science and clinical medicine. This conviction has driven him to look beyond medicine and public health for strategic expertise in management. In 2007 he asked Lawrence University Professor Michael Porter of Harvard Business School, who has conducted extensive studies of the U.S. healthcare system, for help. Already, PIH has replicated its success in Peru and Haiti in other countries. In Russia, “we bring the heads of TB programs in prisons and civilian sectors into a single place, and then most of the teaching is done by our colleagues from Siberia,” Kim explains. “After years of working intensely with our own doctors, who themselves learned in Peru, they are now the best teachers of drug-resistant TB management in all of the former Soviet Union. And they do it in their native language.” PIH’s most recent expansion was into Lesotho, where more than 80 percent of the TB patients they see are coinfected with HIV (see “Tackling TB in the Field,” page 44). But Rwanda is where Kim hopes PIH, led by Paul Farmer and fellow physician Michael Rich, the country director, can build with Porter’s help a model system for health delivery that could eventually be used anywhere in the world. Kim sums up the motivation behind this push very simply: development of new drugs and vaccines is great, but “We’re not even delivering the existing products.” In Rwanda, Farmer, Kim, Porter, and Megan Murray are working together to develop a shared delivery infrastructure that will be flexible enough to tackle many problems at once: HIV, TB, malaria, maternal and child health, sexually transmitted infections, and even chronic diseases.